Not even a full day has passed since President Donald Trump’s Feast of the Seven Hamburgers. Yet it’s already clear that it could be, for all the wrong reasons, the White House’s most iconic meal in modern times. How could carrots from the garden possibly compete with Big Macs on silver platters? 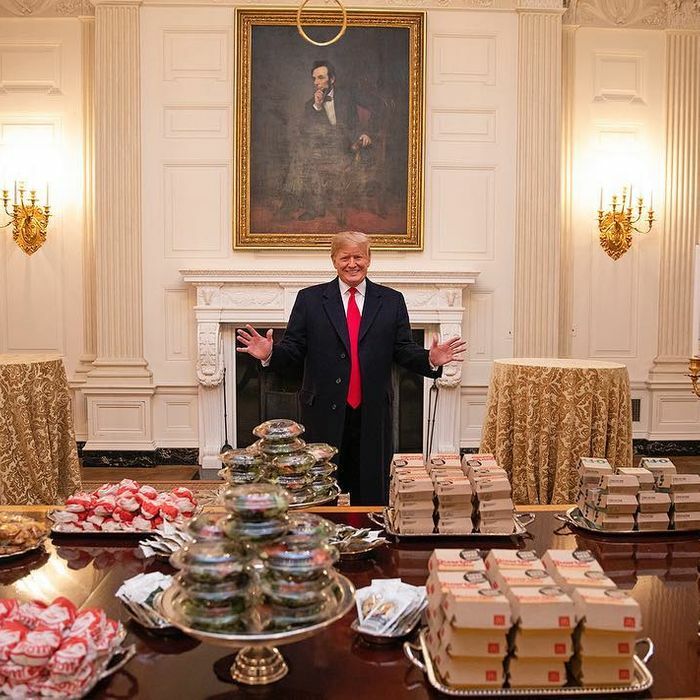 If you too find yourself experiencing a confusing mix of terror and laughter when seeing images of Trump’s fast-food feast, then Grub has the hashtag for you. It’s #WhiteHouseDinners, and it’s where Americans have gone for a mass therapy session in order to process whatever it was that happened last night. Is it Ronald or Donald? And for good measure, here are a couple gems sans hashtag.